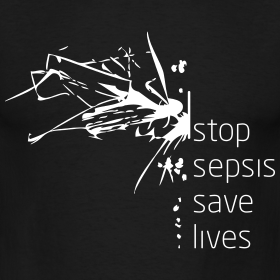 Home » News & Blog » Blog » What is World Sepsis Day? This week is the annual World Sepsis Day (13th September) with the hope that the event would raise awareness of this serious infection, which is said to be responsible for thousands of deaths in the UK annually. Sepsis is a potentially life-threatening condition triggered by an infection. It is the most common cause of death from infection despite advances in medicine. Sepsis is normally caused by an infection such as pneumonia or flu. Notably, some people are more susceptible to developing sepsis than others, for instance the elderly, young or individuals who have undergone surgical procedures. In sepsis, the body’s immune system goes into overdrive following an infection, which can lead to damage of tissue and organs. It can cause inflammation, swelling and blood clotting. This can lead to a significant drop in blood pressure, which means the blood supply to vital organs such as the brain, heart and kidneys is reduced. If sepsis is not treated in a timely manner, it can lead to organ failure and even death. It is estimated that, in the UK, more than 100,000 people are admitted to hospital with sepsis and around 37,000 will be fatal cases. An early diagnosis of sepsis is essential in order to obtain the correct treatment. It is claimed that around 13,000 lives could be saved each year by better treatment methods. Treatment of sepsis varies depending on the site and cause of the initial infection, the organs affected and the extent of any damage. If your sepsis is detected at an early stage and has not affected your vital organs then it is possible to receive treatment at home by way of antibiotics. Most people will make a full recovery from sepsis following this. If the sepsis is severe or you develop septic shock (when your blood pressure drops to a dangerously low level), you will need emergency hospital treatment and may require admission to an intensive care unit (ICU). ICUs are able to support any affected body functions, such as breathing or blood circulation, while the medical staff focus on treating the infection. As a result of problems with vital organs, people with severe sepsis are likely to be very ill and up to four in every 10 people with the condition will die. Septic shock is even more serious, with an estimated six in every 10 cases proving fatal. However, if identified and treated quickly, sepsis is treatable and in most cases leads to full recovery with no lasting problems. Management of sepsis after admission to hospital is popularly known as the ‘sepsis six’. This involves six elements, three treatments and three tests, which should be initiated by the medical team within an hour of diagnosis. At the Serious Injury Helpline, we understand the impact a sepsis diagnosis can have on patients and their families. We also know how important obtaining compensation can be to help with rehabilitation of those who survive and the financial worries of those that are bereaved as a result of sepsis. If you believe that you or a loved one has had a late diagnosis of sepsis or was poorly treated, you may be eligible to pursue a claim for clinical negligence. Please feel at ease to contact us on 0800 230 0573 to see whether you have a viable claim for medical negligence.